mbryo implantation is the last and most important step in the IVF treatment. Successfully fertilized embryos are implanted into the uterus safely to the bastion and can be performed without the need for anesthesia. For the parents who ask for the child, the seemingly simple step is of great significance. It is the foot of the game. It is very important to score and win. There are two ways to implant embryos in international medical treatment: fresh and frozen. These two are very different and are used by different parents. The egg and the sperm combine to form a fertilized egg, and the cell division is continuously performed, which is called cleavage. The cells produced by cleavage are called blastomeres. As the number of blastomeres increased, the cells gradually became smaller, and by the third day, an embryo composed of eight blastomeres was formed. In the IVF operation, the embryo formed on the third day will be referred to as the early embryo, and the current implantation method is fresh embryo implantation. 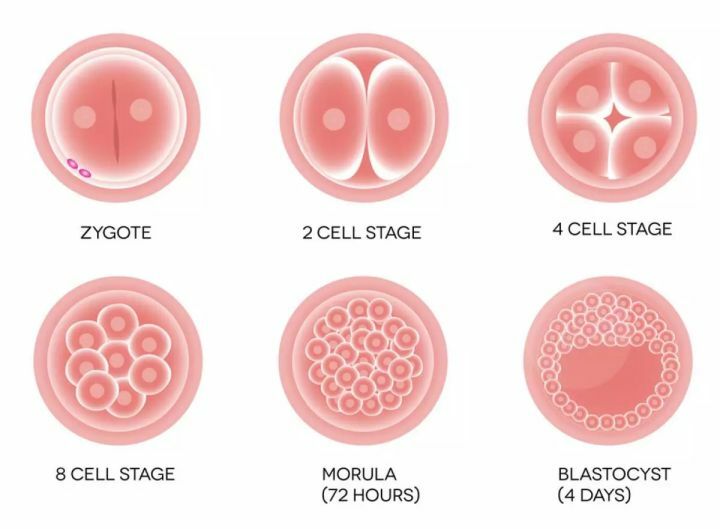 The blastocyst refers to the embryo continuing to grow, and on the fourth day, a solid embryo composed of 12 to 16 blastomeres is formed, which is called morula. The cells of the morulae continue to divide, and small cavities gradually appear between the cells. After about two days, they finally merge into a large cavity, and the morula is transformed into a hollow blastocyst. The blastocyst is also known as the blastocyst, which is the fifth day of the fertilized egg. At this point the fresh blastocyst is implanted. Pros: Reduce overall IVF treatment time (if successful). For couples who have longed for pregnancy, fresh blastocysts will be carried out shortly after egg retrieval, which can effectively shorten the time. If successful, it means you can have your own baby faster. Disadvantages: Because ovulation-promoting drugs cause an increase in blood hormone levels, excessive hormones can cause some troubles during implantation of fresh blastocysts, such as ovarian hyperstimulation syndrome (OHSS). In addition, too high progesterone can cause early endometrial luteinization or aging, making the endometrial environment less acceptable for embryos, resulting in difficult embryo implantation. The embryos and chilled liquid were placed in a cryotube, and the embryos were allowed to stand still after cooling, and then stored in liquid nitrogen at -196 degrees. Generally, in the case of cultivating multiple embryos at the same time, after the implantation of fresh embryos is ensured, the remaining embryos of better quality are cryopreserved, and are implanted into the uterine cavity after being thawed in the natural cycle or artificial cycle. Increase the chances of conception. Pros: Avoid or reduce delayed ovarian hyperstimulation syndrome (OHSS). During the process of egg retrieval and fresh cycle implantation, there is a higher incidence of ovarian hyperstimulation syndrome. After the ovary is stimulated by hormones, excess human chorionic gonadotropin (hCG) induces delayed ovarian hyperstimulation syndrome (OHSS). Although the condition is usually mild, OHSS causes the corpus luteum to produce large amounts of hormones such as estrogen, lutein and cytokines. In most cases, the increase in swelling and hormonal concentrations is within acceptable limits, but some rare extremes may present some risks to pregnant women and the fetus. The frozen embryo transfer can effectively reduce or avoid this situation; in addition, when the thawing implantation, because there is no high concentration of hormones produced when taking eggs, the endometrium will not be prematurely yellowed, frozen The acceptance of the embryo is higher. The patient's uterus can be better cultivated and restored during the preparation of the frozen embryo, so that it can achieve a better state when receiving the transplant; some studies even suggest that the fetus born through the frozen blastocyst may be healthier. Very few people will have problems with low birth weight or small size. Disadvantages: Compared to fresh blastocyst transfer, frozen embryo implantation requires longer waiting time to finally conceive. In addition, the waiting time for frozen embryo implantation is long for a family eager to have a baby and wait a month for freezing. Embryo transfer seems to be more torturous. Who is suitable for fresh embryo implantation? Who is suitable for frozen embryo implantation? Dr. Chung: The overall success rate of implanted high-quality blastocysts after thawing may be optimal. However, in real life, because the actual situation is different, it is necessary to take the implantation measures according to their own situation, and listen to the doctor's opinion to be able to conceive their baby as soon as possible. 5. All women are afraid of "premature ovarian failure"
6. Infertility last big trick you can not know "IVF"